For several days this week, it was questionable whether the weather would put the kibosh on the balloons that are the main attraction of the annual Macy’s Thanksgiving Day Parade in New York City. Some of us have been down that road, or rather Manhattan street, before. The story you are about to see is true. No names have been changed to protect the innocent since no one involved IS innocent. 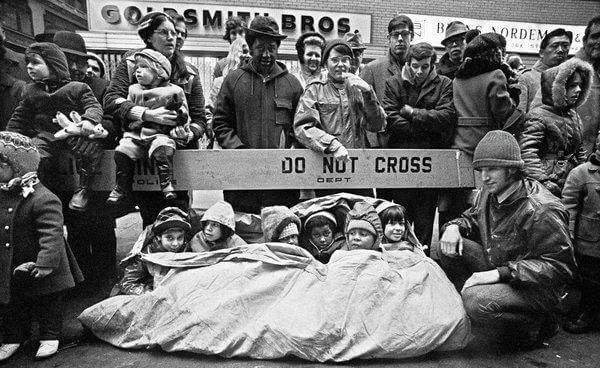 Like most kids in American, I grew up watching Macy’s parade with various family members scattered around the TV set — black and white until we got our first color set in 1968 — except for Mom and my aunt who were in the kitchen basting the turkey, tending to the chestnut stuffing, and making the traditional, albeit disgusting, Jell-O cranberry salad. Little did I know that one day I’d be on the other side of the TV, marching in the parade. every opportunity to promote the school’s name. 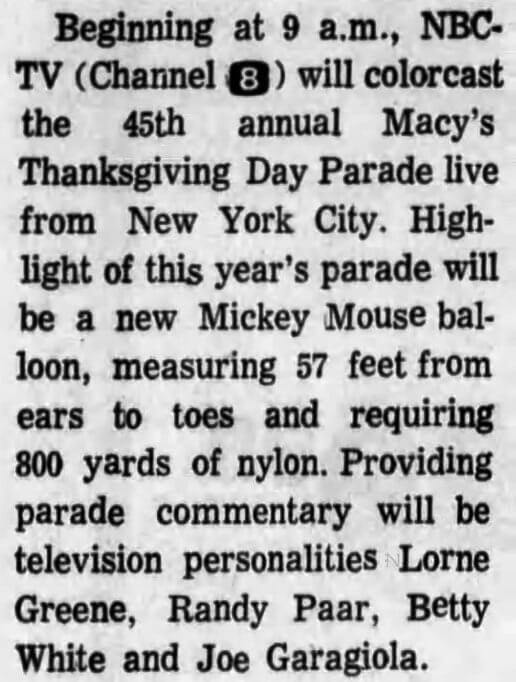 Someone (their name mercifully lost to history, or at least to my memory) came up with a brain storm of having our marching band perform in the Macy’s Thanksgiving Day Parade. Apparently, some strings were pulled to get an invitation. After strong hints that our future in the band hinged on all 120 + musicians, majorettes and flag-bearers “volunteering” to give up a sizable chunk of our Thanksgiving vacation to participate — personally, I was thrilled to be getting away from that damn Jell-O salad — the band commenced a month of intensive practice for the three minute routine we were to perform on national television in front of Macy’s main doors. 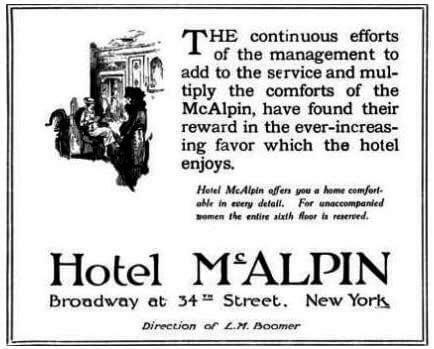 When late November rolled around, and after an interminable bus trip from Syracuse, we arrived after dark the day before Thanksgiving at the Hotel McAlpin at Broadway and 34th. Street. 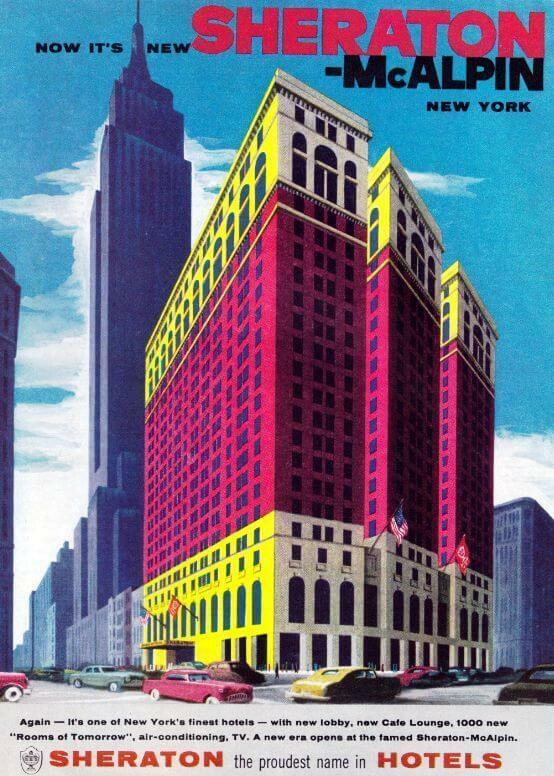 The McAlpin had once been the largest hotel in the world, but by 1971 had seen better days. 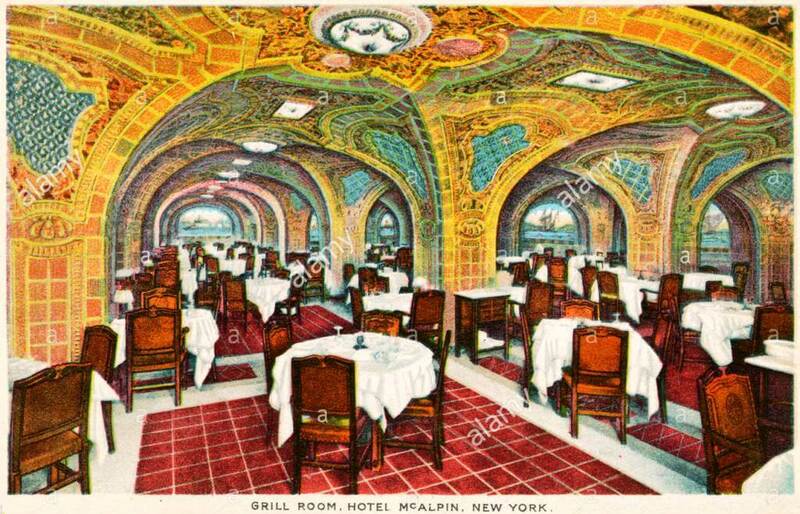 Hustled into the hotel’s still-famous Marine Restaurant, known at the time as the Gates of Cleve, matters immediately started to go off the rails. First, we were told that the university had been unable to obtain enough rooms at the hotel so that instead of the usual two to a room, we’d have to jam in three, one on a cot, with our director doing the assigning. Volunteers for co-ed rooms were ignored. Secondly, there had been a slight misunderstanding in that our participation in the parade was not guaranteed. This meant we’d have to audition the next morning with several other hopeful bands to see if we would make the cut. Lastly, we were informed that our audition would be at 4:30 am ! Arising Thanksgiving morning, we gulped breakfast and, instruments in hand, charged out the McAlpin’s front doors, including a big revolving door in the center, only to discover that it was cold, windy and raining heavily. 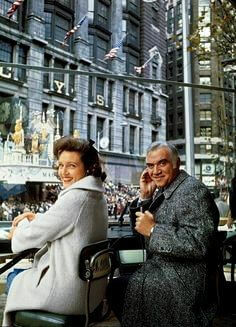 Unfortunately, as we were streaming out, in came Lorne Greene who was hosting the parade with Betty White (for the last time as it turned out). 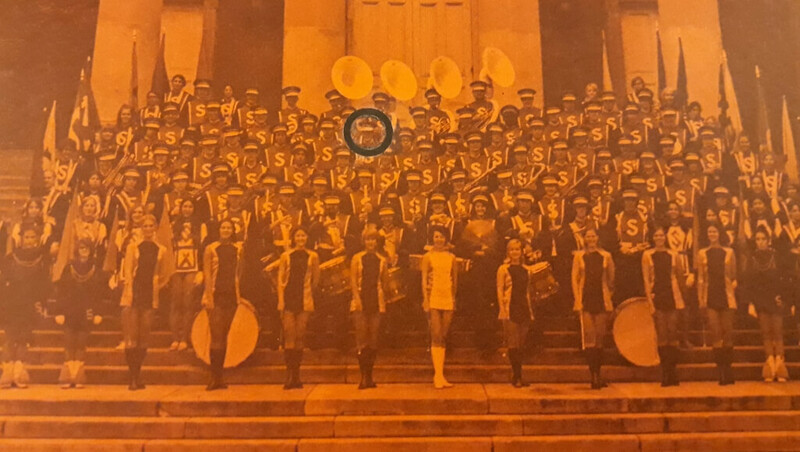 Pa Cartwright may have been a match for Indians, rustlers and assorted bad guys, but in a revolving door, he didn’t have a prayer against a stampede of brass-wielding SU marching band members, one of whom collided with Lorne and sent him staggering. Odd how on “Bonanza,” I’d never heard him use the kind of language he used that morning. Assembling in the street, rain dripping from arms, instruments, and batons, we executed (not the use of the word you’re probably thinking of) our routine with sufficient proficiency and style to be given a thumbs up. Now all we had to do was wander aimlessly around the hotel for a couple of hours in soggy, heavy and somewhat fragrant wool uniforms until such time as we were loaded back on the buses and driven to our assigned position in the parade lineup someplace between Central Park and the Bronx. At this point we were told that due to the high winds and rain, the parade balloons had been grounded for the first time since 1926 (and the only time since 1971 as it turned out, as even the 2018 weather improved enough to let the balloons fly). 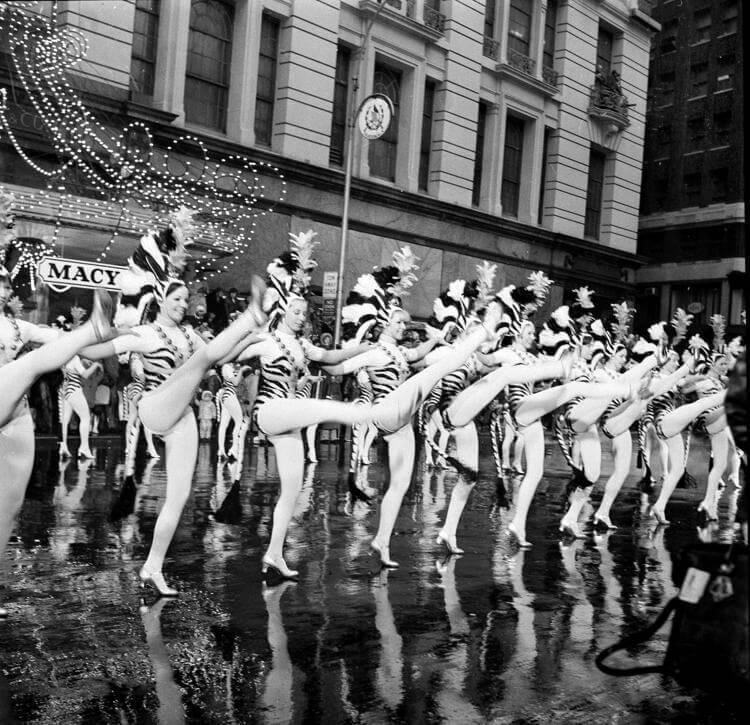 By 9:00 the rain stopped, the parade got underway and away we marched on a 2 ½ mile trek. But Mother Nature wasn’t done with us yet. Turning the corner at Columbus Circle, a blast of wind sent hats flying, leaving at least a third of the band with undignified and uncomfortable bare heads. 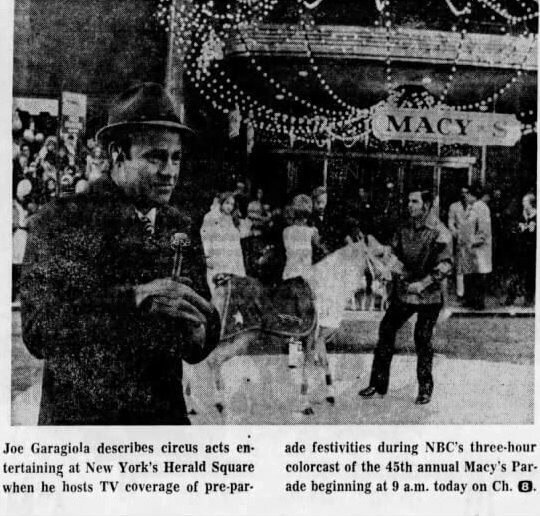 Finally, arriving in front of Macy’s, our director gave three short tweets on his whistle, and we went into out routine, executing it (there’s that word again!) with great precision. 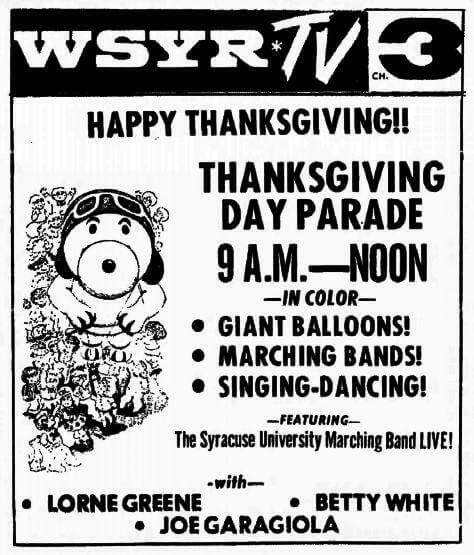 As a student in Syracuse University’s Television and Radio Department, I’d arranged for the parade broadcast to be videotaped so that we could later see what our families had no doubt been proudly watching live.¹ Our part of the parade over, and frozen to the bone, we walked back to the McAlpin for our Thanksgiving dinner. Entering the Gates of Cleve, we were greeted by a cautious maitre d’ — doubtful that he’d ever had to deal with 120+ marching band members before — and by what sounded like a Germanic oompah-pah band tuning up. Indeed, oompah-pah it was. For to our surprise, during dinner we were to be regaled by the musical stylings of Vlado Wormser & His Orchestra (no, I’m not making that name up), featuring a repertoire of old standards.” Poor Vlado. Imagine having to play in front of 6 score of alleged musicians in the process of stuffing their faces with Thanksgiving turkey. Our adventure over, we traveled back to Syracuse, some to stay on campus, those of us living close by to make it home for the few remaining days of vacation. 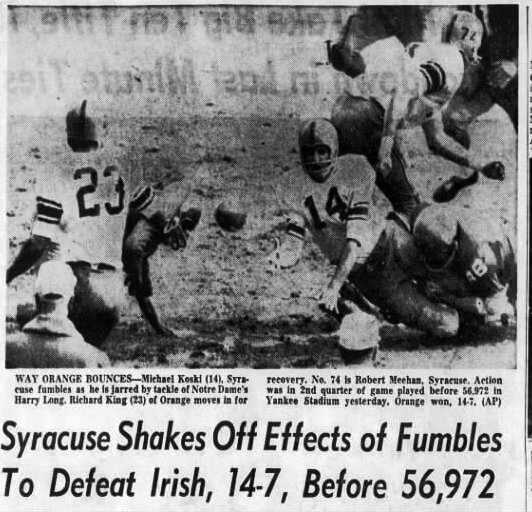 It was when I got home to Honeoye that the last shoe dropped. Asking my parents how they liked our performance, I was stunned to learn that it hadn’t been broadcast! It seems that as we marched up to Macy’s, the network cut to a commercial and then to a camera on another section of the parade route, returning to our position just in time to see the Syracuse University Marching Band march off into obscurity. ¹As described above, this turned out to be wasted effort. Eugene Kramer publishes "Isaac" sixty-five years later.